CCRN Question Bank (2019) - 1250+ Practice Questions!! 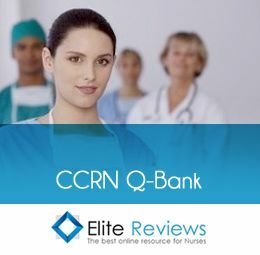 The CCRN Question Bank Is An All-Inclusive Online Program Than Includes - 1250+ Practice Questions - 25 CEU's & The Most Recent (2019) CCRN Exam Updates!! The CCRN Question Bank Encompasses - Cardiac, Neuro, Pulmonary, GI/Renal, Endocrine, Hematology, Multisystem & Professional Caring!! The CCRN Question Bank Is A Great Alternative For Those Nurses Who Plan To Use Practice Questions As There Primary Method Of Preparation For The CCRN National Exam!! The CCRN Question Bank Reflects The Current (2019) CCRN National Exam Updates & Will Include Over 1250 Online Practice Questions & 25 CEU's!! This Question Bank Will Be Accessible Online For Either 45, 60 or 90 Days After Registration!! For A More Detail Breakdown of This Question Bank - Click On The Exams Tabs!! Login To Your Account In Order To Access The Course Completion Certificate. The CCRN Question Bank consists of over 1250 Multiple Choice Practice Questions. This Question Bank reflects the most current CCRN National Exam Updates. In order to provide the highest success rate possible, we decided to divide the Question Bank up into 2 parts (Q-Bank Part 1 & 2). Each part focuses on a different subject area. In order to be successful on any of the exams, you must make an 80% or greater. You will be allowed to repeat any of the exams as often as you would like, within the registration deadline (45, 60 or 90 Days). Each of the exams focuses on the main content outlined in the CCRN National Exam Blueprint. Bonus - Click on the Course Demo Video Tab For Some Sample CCRN Practice Questions.